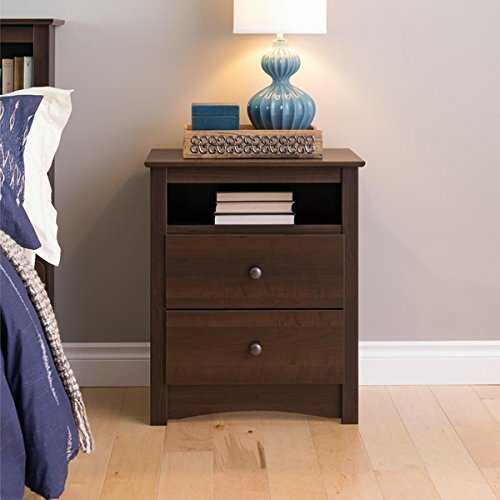 Keep all your things in arm's reach of your bed with this tall, two-drawer nightstand from Sonoma. This bedside table's espresso finish and simple design will complement both traditional and modern decor, while the two spacious drawers and open shelf have room for all your bedside needs. Easy sliding drawers and safety stops allow quiet use during sleeping hours. If you have any questions about this product by Ellsworth, contact us by completing and submitting the form below. If you are looking for a specif part number, please include it with your message.